When the Man of Steel is suddenly stricken by a fatal illness, he must find a cure while preparing for his final days. But before his impending fate consumes him, he must have a final confrontation with his greatest enemy, Lex Luthor, who will stop at nothing to finally defeat the world's greatest superhero. 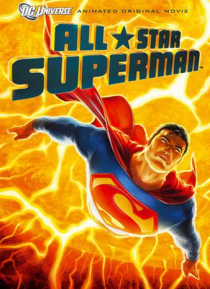 Based on Grant Morrison and Frank Quietly's groundbreaking comic book series, All Star Sup… erman.